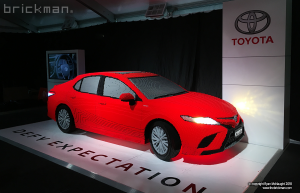 This year Ryan ticked off another of his life goals- to build a life-sized car out of LEGO® bricks! 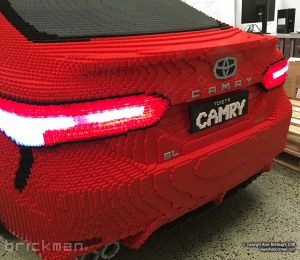 The chance to build one came out of a relationship with our between Toyota Australia and our new touring AWESOME LEGO model exhibition. 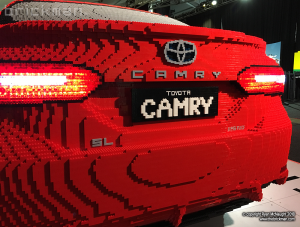 As it happens Toyota we’re planning on unveiling their brand new 2018 Hybrid Camry this year so we decided this was a perfect opportunity to build one from LEGO® bricks! 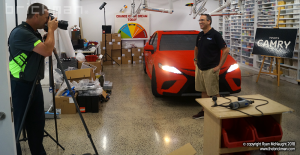 As with any build which involves a third party, but especially a huge one like this, we had to design the model completely in the computer first so that we could get it 100% right and give Toyota a chance to approve and sign off the model before we start laying bricks. 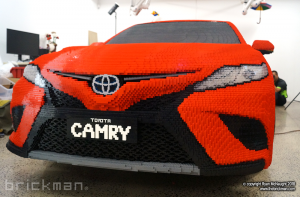 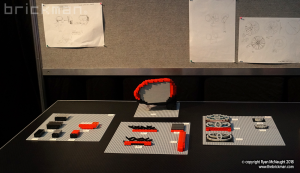 Mitchell also created a range of smaller sections of the car in real LEGO® bricks as prototypes to give Toyota an idea of what it will look like in real life too. 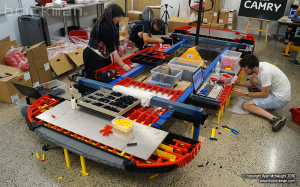 Once we had the model design approved we started by building the bases of front and rear of the car which overhang out from the steel base the car sits on. 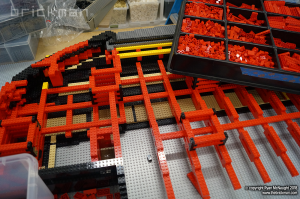 After these were attached to the steel base (which is mostly there to hold the car safely off the ground- the posts it sits on are hidden within the wheels.) 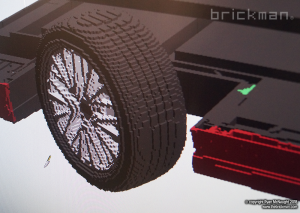 we began building up the body of the car layer by layer. 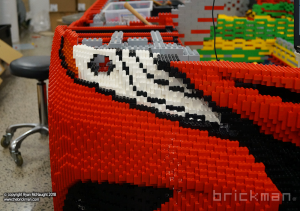 We used a HUGE amount of DUPLO bricks to create a rigid super structure to tie all the sides of the car together. 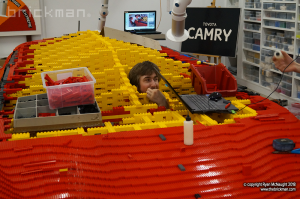 These DUPLO walls went up the entire height and length of the car, eventually bridging over from side to side to lock everything together and provide support for the roof and windscreens. 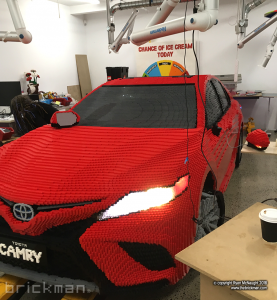 The model took an epic 900 hours to design and build, including many early mornings, late nights and even a 24 hour marathon to get it finished on time, but finally it was done! 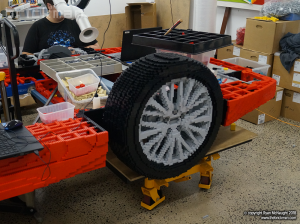 Weighing in at 1 tonne, this model is one of the heaviest we’ve ever created. 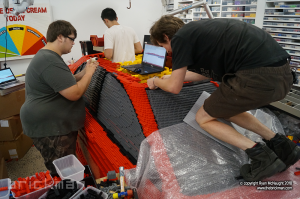 Stay tuned for a full timelapse of this epic build as well as a competition to guess how many LEGO bricks we used to build it!